Biometics has created a one-of-a-kind product that helps the body restore normal sleep patterns and can help anyone who does not sleep well. 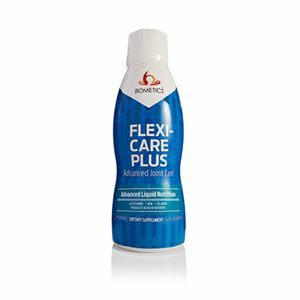 Our bodies are under intense demands from the stresses of work, school and active lifestyles. Sleep is the time when your body repairs itself and prepares you for the next day. Proper sleep cycles are necessary to ensure your body gets the rest it needs and to perform at peak performance. 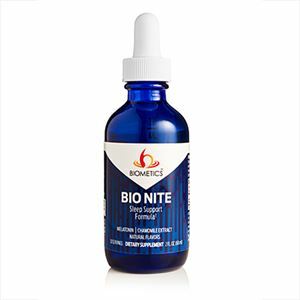 Bio Nite™ helps to prevent sleepless nights - without the hazards and side effects of prescription or over-the-counter sleeping pills. Melatonin, Purified Water, Glycerin, Citric Acid, Chamomile Extract, Natural Flavor, Potassium Sorbate, Ethoxylated Vegetable Oil, Melatonin, Sodium Benzoate, Stevia, and Valerian Extract.